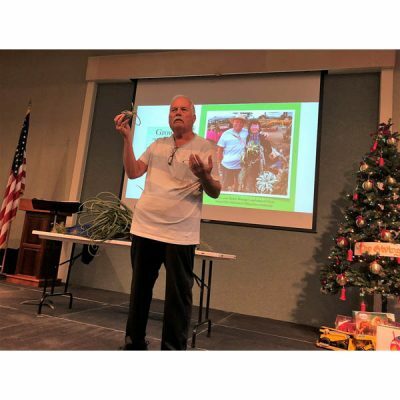 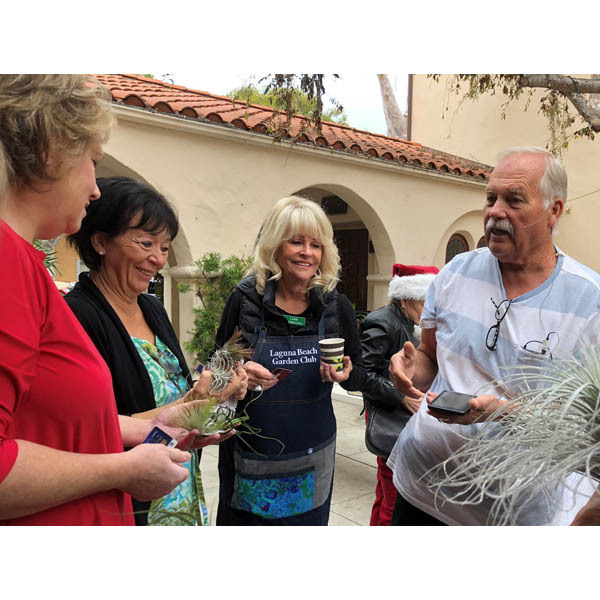 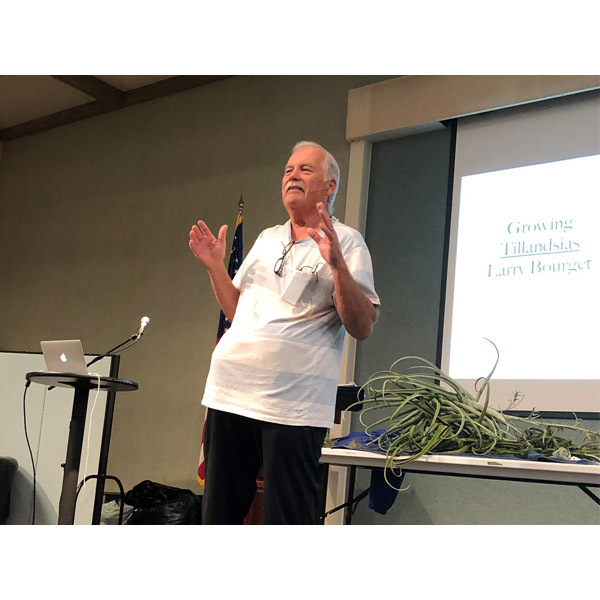 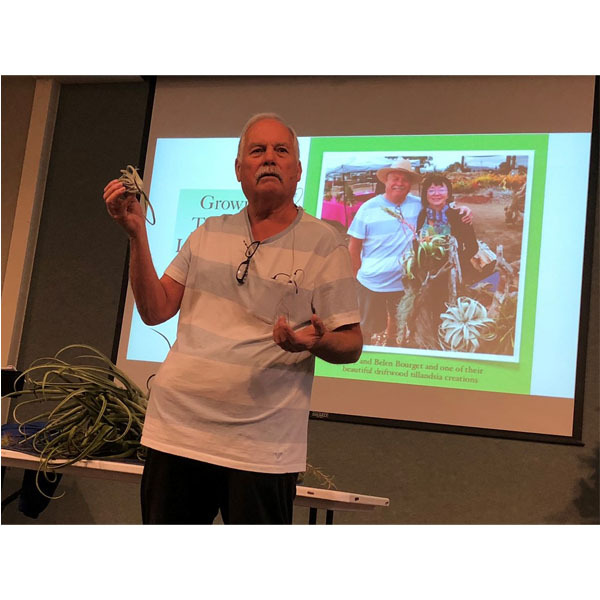 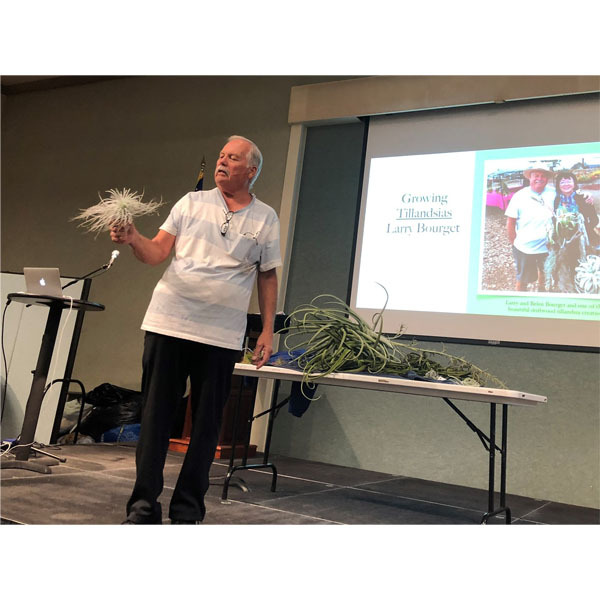 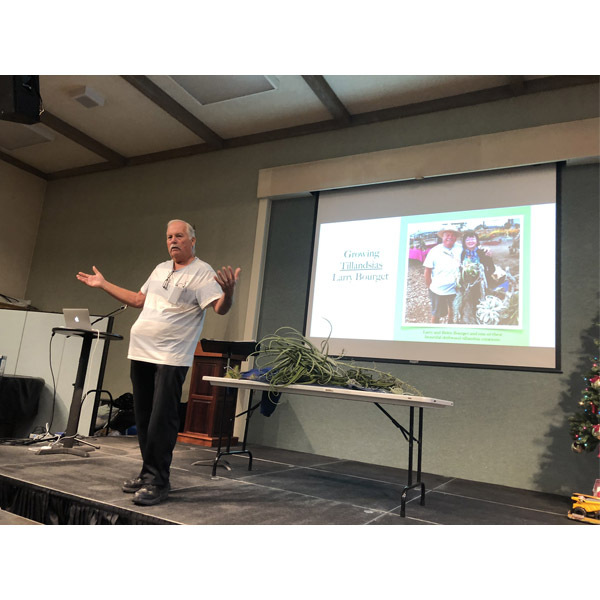 Larry Bourget was the guest speaker at our Dec. 14 meeting, and he talked about “Growing Tillandsias.” Also known as “air plants,” tillandsia is the largest genus in the Bromeliad family. 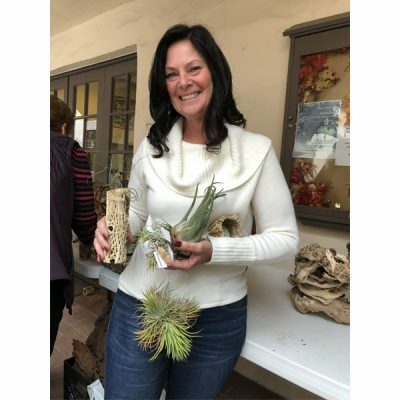 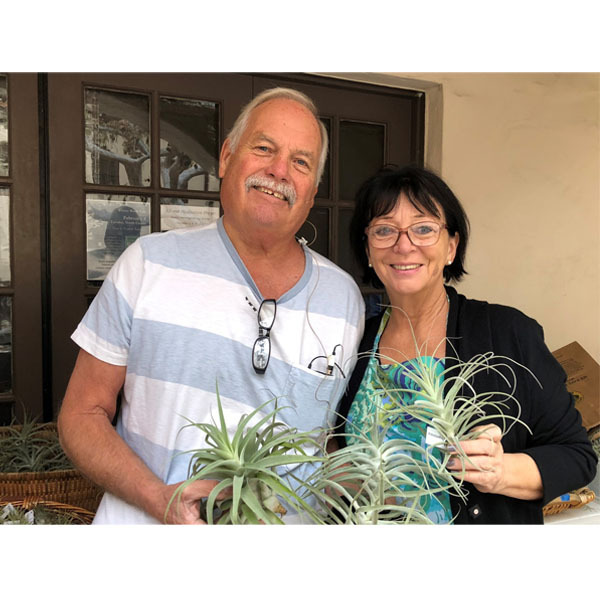 Mr. Bourget and his wife, Bebe, are passionate about displaying tillandsias on driftwood, Cholla, cedar root and other types of woods. • Southern California is an ideal environment for growing tillandsias. 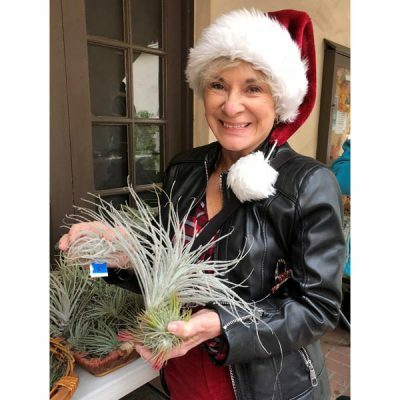 • Tillandsias absorb water and nutrients through their leaves instead of a root system. 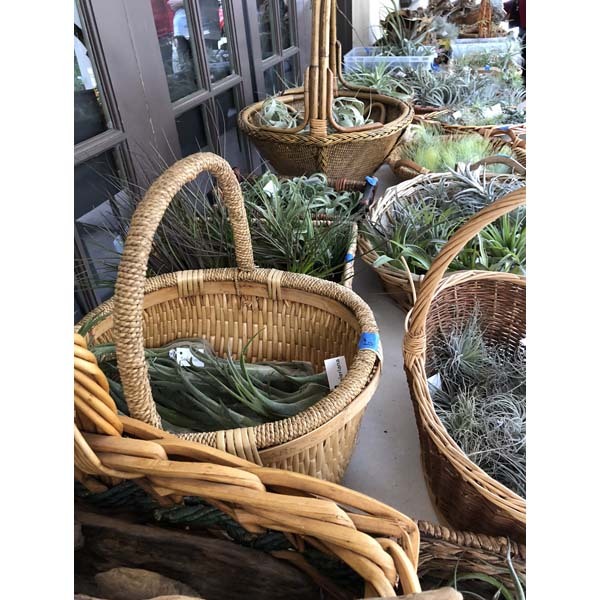 • They grow slowly and need only light water; overwatering can cause rot. 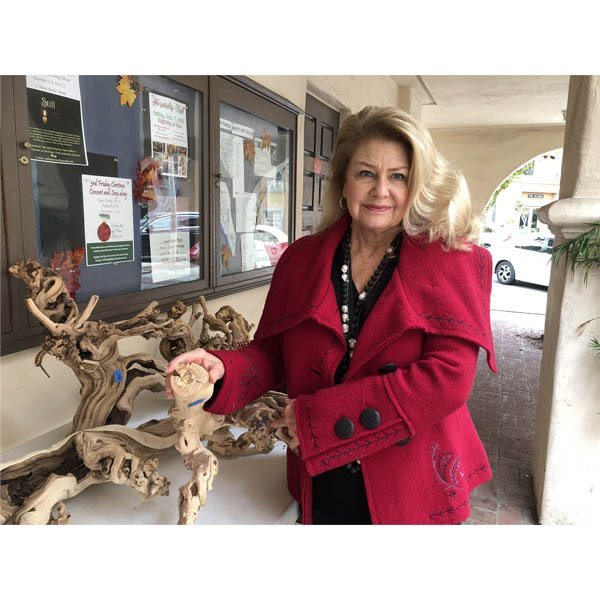 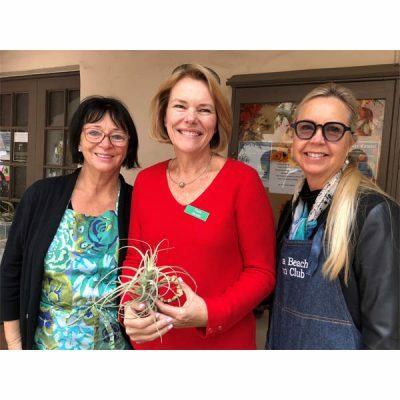 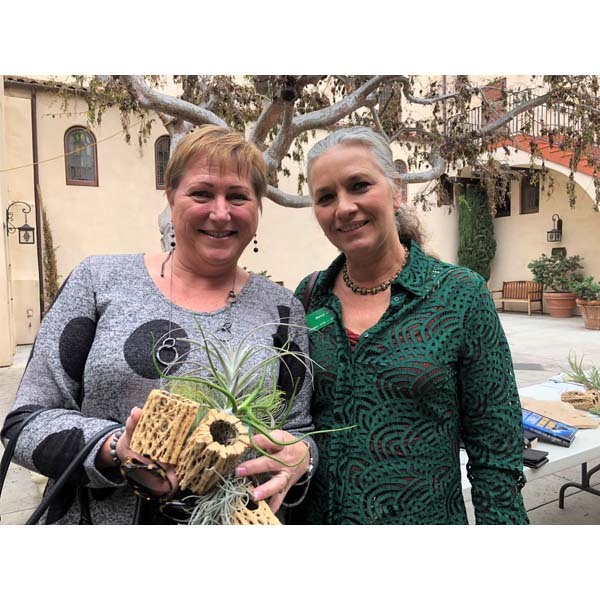 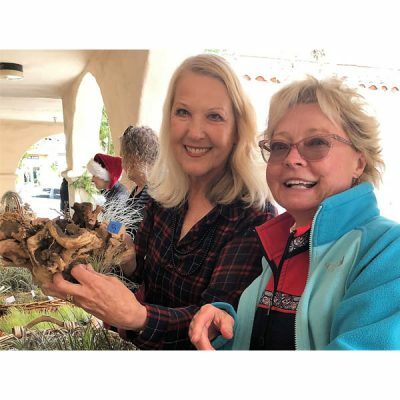 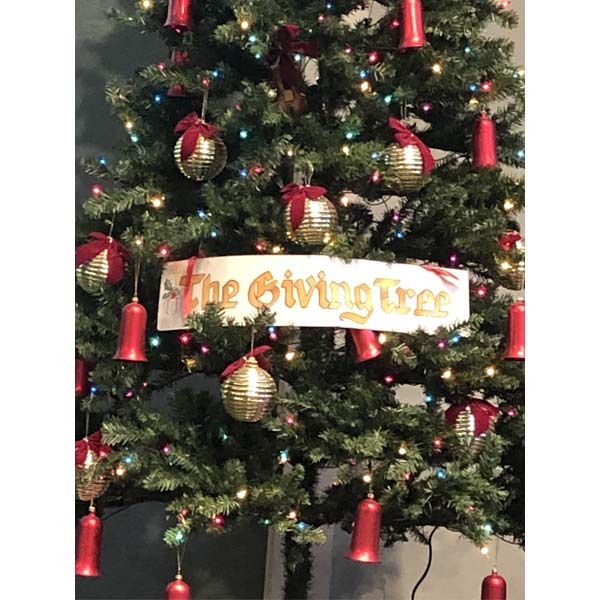 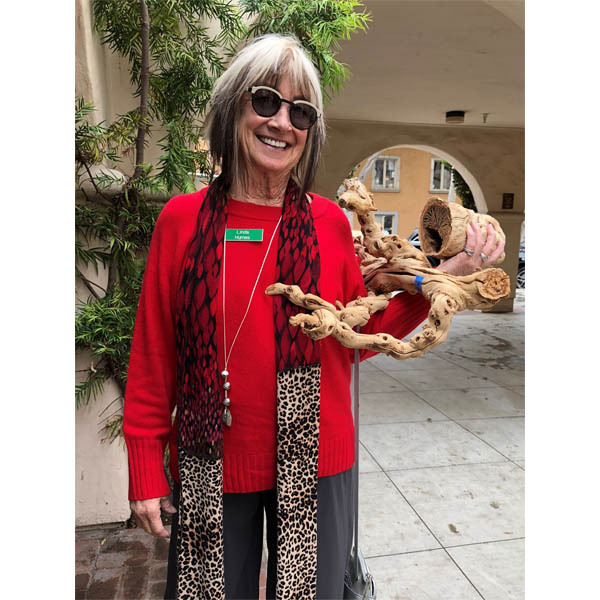 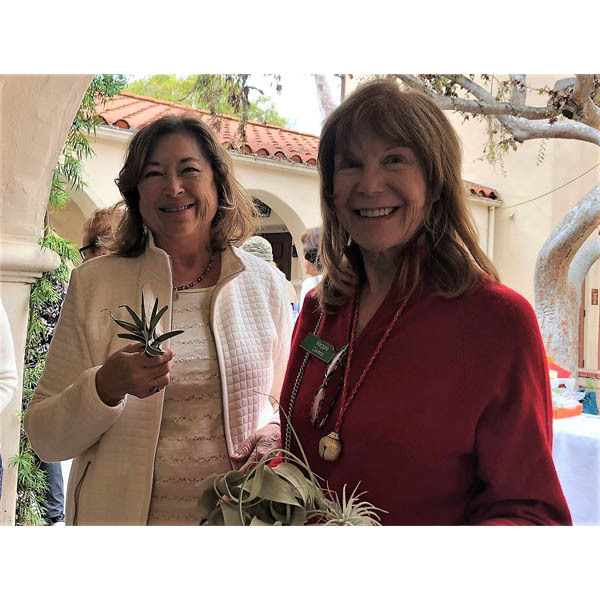 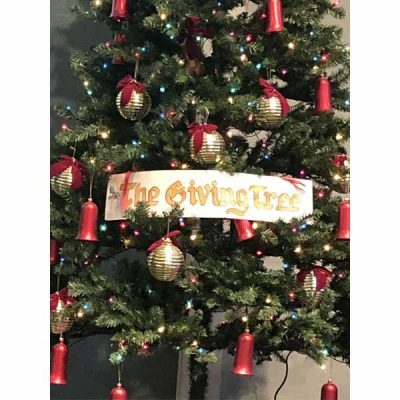 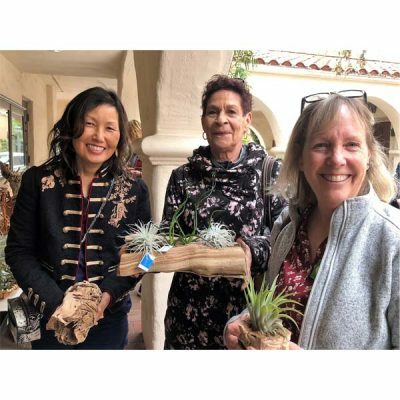 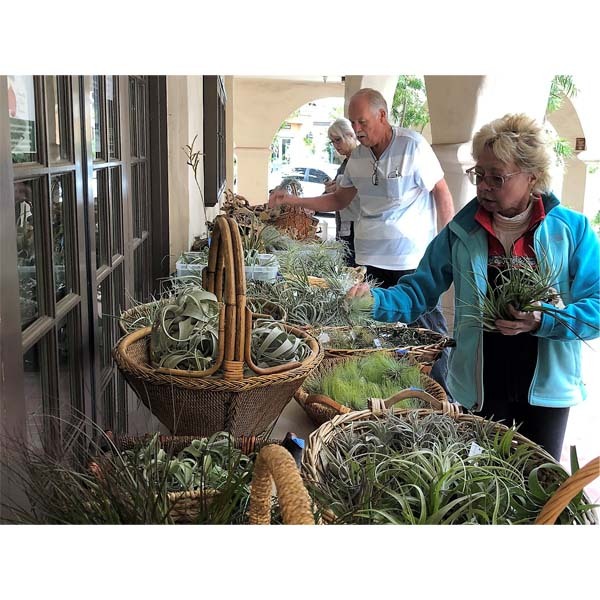 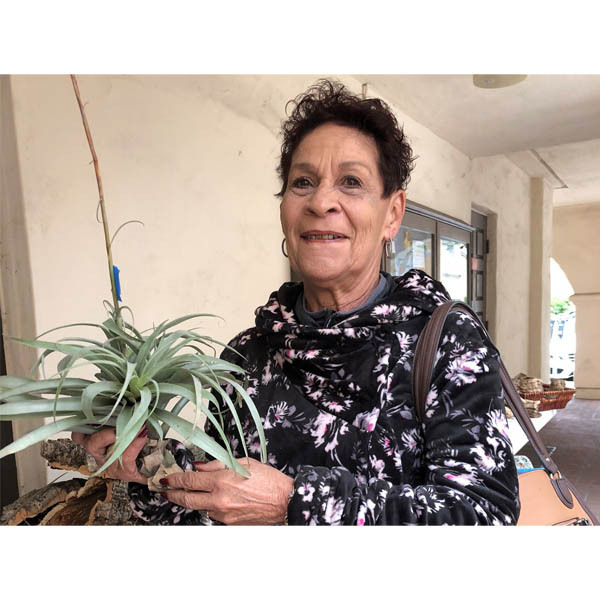 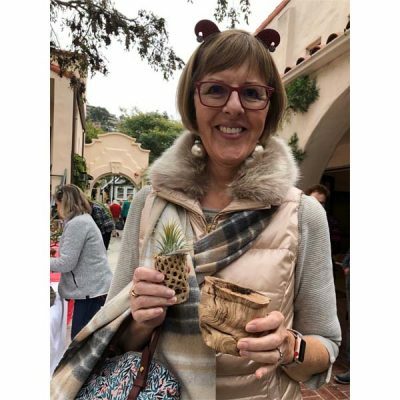 Mr. Bourget and his wife brought driftwood and basketsful of tillandsias for sale that day — which our members had fun sorting through and taking home. 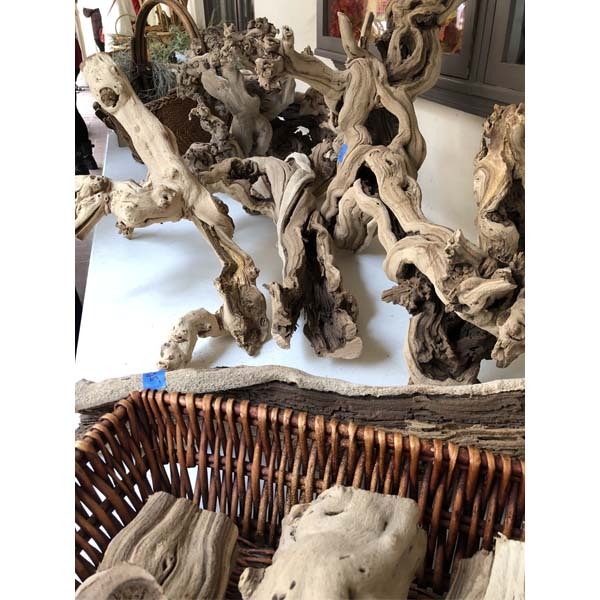 The Bourget’s company is Seafoam Driftwood in Escondido, which specializes in beautiful driftwood from the Pacific Northwest. 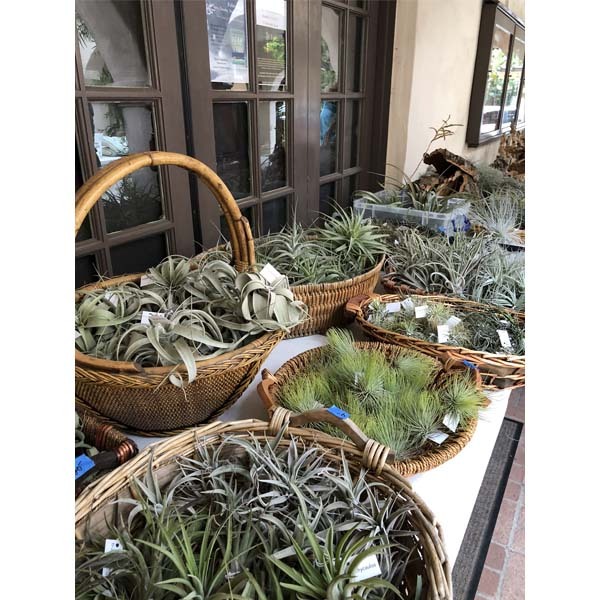 Check them out on Instagram and Facebook to see stunning photos of tillandsias and succulents displayed on driftwood and other wood.